Disney's Sofia the First: The Floating Palace Floats onto DVD on April 8th! Just in time for Spring and Easter! Join Princess Sofia the First on an enchanting under the sea adventure with Disney's Sofia the First: The Floating Palace! 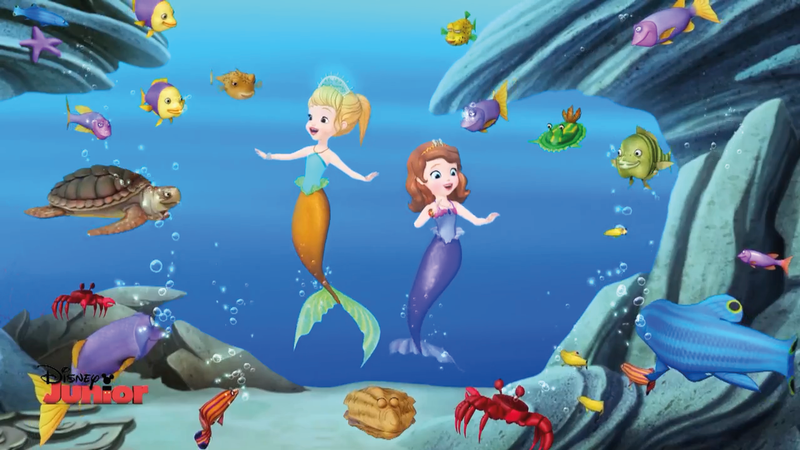 After Sofia helps Oona, a young mermaid, Sofia’s amulet gives her magical powers to change into a mermaid and visit Oona’s secret underwater kingdom. But when Cedric (in disguise as a sea monster) plans to steal Oona’s mystical Mermaid Comb, there is danger for both worlds. With help from special guest, Princess Ariel (The Little Mermaid), Sofia sets out on a quest to rescue Oona. And there is a moral to the story: when friends and families work together, they can face any challenges save the day! Lots of wonderful songs, plus 3 more episodes of Sofia the First. Run time: Almost 2 hours. 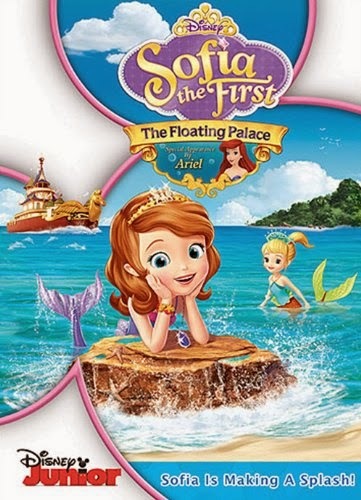 Sofia the First: The Floating Palace floats onto DVD on April 8th, 2014! Sofia's Magical Amulet Changes Her Into a Mermaid! Disney Junior’s Sofia the First chronicles the adventures of Disney's first little girl princess, Sofia, who is learning how to adjust to royal life after her mother. The show is the #1 tv series with girls ages 2 - 5 years old. 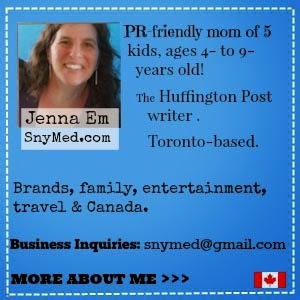 WIN a royal Sofia the First prize pack, fit for a princess from SnyMed.com! Prize pack includes (Just ADDED) Sofia the First: The Floating Palace DVD, a Sofia the First pair of sunglasses, beach towel, beach ball, and water bottle. Contest open to Canada & USA. Ends Wednesday May 14th, 2014. 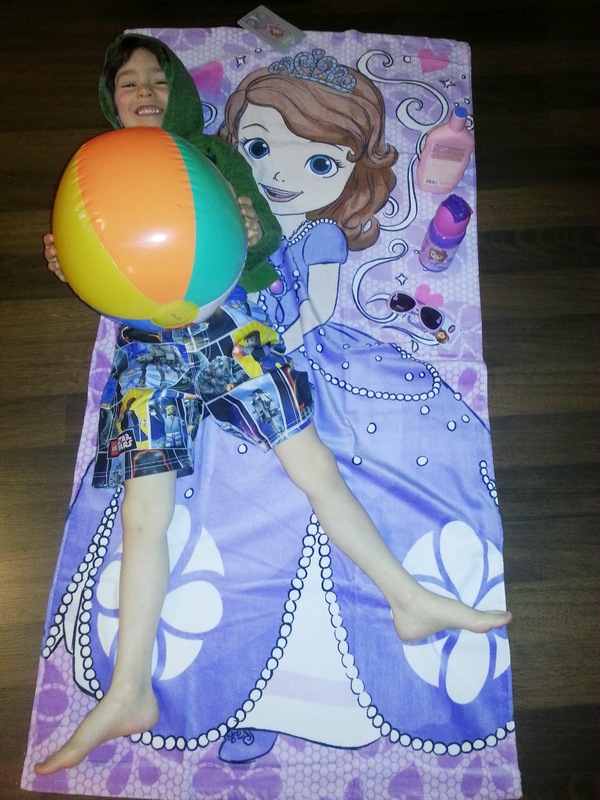 WIN a Sofia the First Prize Pack Like This One! Includes Disney's Sofia the First: The Floating Palace DVD! Leave a COMMENT below stating if you have a fan of Sofia the First or princesses in your household OR who you'd like to WIN this prize pack for. Then, use the entry form below to enter the contest. GOOD LUCK! Yes I have a Sofia fan here!!! My daughter is a fan and would love this prize! There's a little girl that I babysit that would really like these nice things for her summer fun. My daughter is a HUGE Sofia the First fan!! My granddaughter thinks Sophia is fantastic. I'd like to win this for my daughters! My daughters haven't watched Sofia the First but for some reason my oldest (6) loves all the Sofia stuff. I think the kids at school must talk about her! So my oldest would love this stuff. I'd love to win this for my niece; she's a huge fan and her bday is coming up! I have to young granddaughters who think they are princesses. I think they would really enjoy this. My daughter is just getting into Sofia. She would love this! My granddaughters name is Sophia. She would love this. This would be for our granddaughter, she loves Sophia. This would be a sweet prize for my sweet granddaughter. I would love to win this for my cousin! She will love it! My little Neice Sophia loves Sofia the first! My daughter loves Sophia the first! Would love to win this for my goddaughter! My daughter loves to watch Sophia. I think we watch it pretty much everyday on cable. I would love to win this for my niece who absolutely loves Sofia! I have two little princesses in my home. My daughters, Teela and Zari and they adore Sophia! We love Sofia the First! My daughter is not a fan of princesses but most of her friends are, so we would gift it to one of them if we won. My 5 year old really likes her, and to be honest, I don't mind watching it all that much myself...I would give it to my little one if I won! My daughter just turned 8 and she actually still likes watching this show. I have little nieces who looove it! My three granddaughters are big Sofia and Clover fans. They love the theme song. My Grandaughter is obsessed with Sofia! I have 10 grandkids who love Sophia!!! My Daughter is a Sofia nut! my Alley would love this. My Little One is a HUGE Princess Sofia fan! My daughter is a big fairy, mermaid, and princess fan and would love this prize. I'm not sure if my comment went through or not :-( so I'll write another to be on the safe side :-(. My granddaughter is a huge fan of princesses, she knows them all from her play world at least. My oldest daughter is a huge Sophia fan! I would love to win this for my daughter, Katie, she is a huge fan of Sofia! Our 3 girls LOVE Sofia the first!!! My son is 3 and he even likes to watch Sofia :) We all love her, she is one of our favorite Princesses!!! Thanks for the chance to win my kids would be Ecstatic to have this!! I would like to win this for my daughter, but my little boy does enjoy the show! I would like to win this for my daughter, but my young son enjoys the show! My 3 year old is a fan of Sofia. My little princess Sara is a huge princess Sofia fan! !